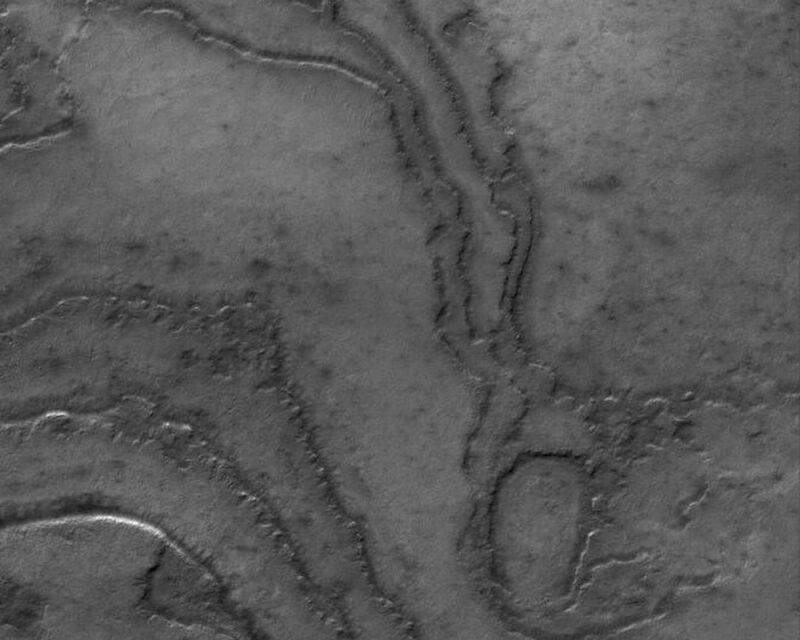 This Mars Global Surveyor (MGS) Mars Orbiter Camera (MOC) image shows layering in terrain at the high southern latitudes of Mars. 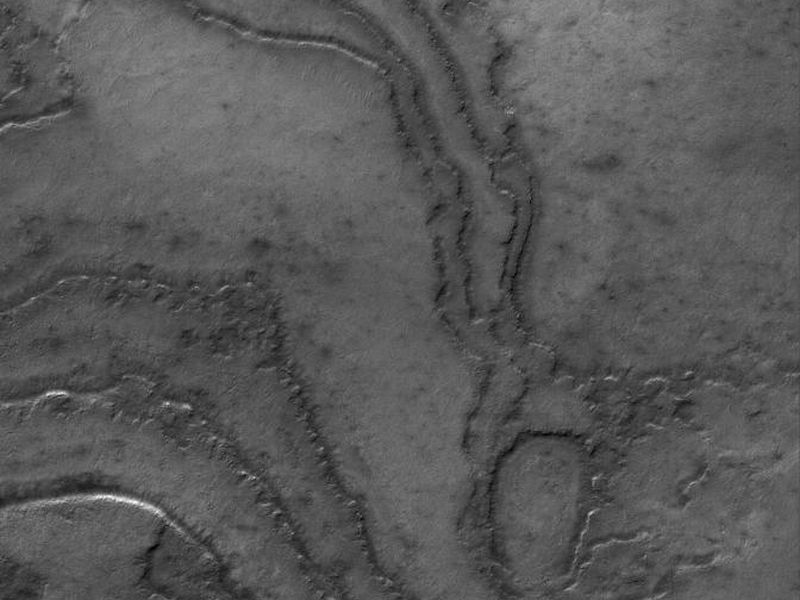 South polar layers are commonly assumed to consist of varying amounts of dust and ice. 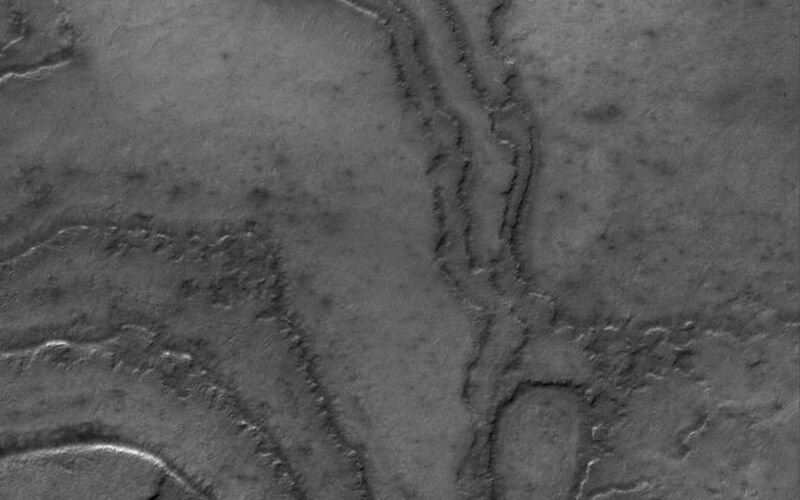 An alternative explanation -- they may be exposures of ancient sedimentary rock.